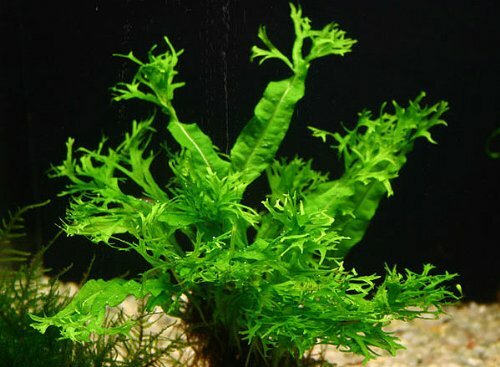 Home > Plants > Aquatic Java Fern "Windelov"
Java fern (microsorum pteropus) grows rather slowly in comparison to some other popular aquarium plants, but it’s one of the hardiest and best-looking options out there. It will manage just fine in most aquarium conditions, and usually won’t be nibbled away by your fish. The key to planting Java fern is to not actually plant it, but rather to attach its exposed rhizome to a piece of driftwood or a rock. Then, just let it grow and propagate!